Edward Gordon Craig: Irving as Dubosc in the Lyons Mail. Issued as a supplement to The Page, 1900. 265 x 185mm. Light crease across bottom. The Page was an arts magazine published by Craig from his home. Category: Miscellaneous. 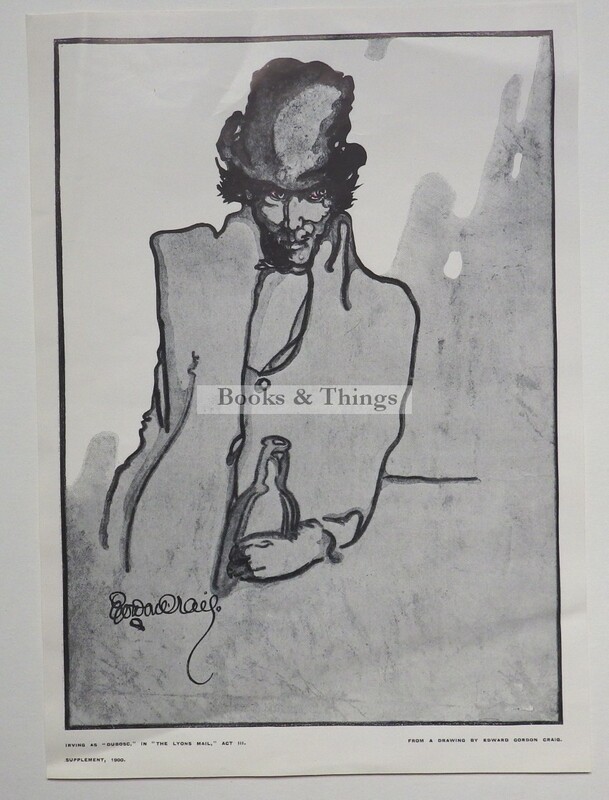 Tags: Edward Gordon Craig print, Henry Irving as Dubosc.